I love creating handmade gifts over the holidays. 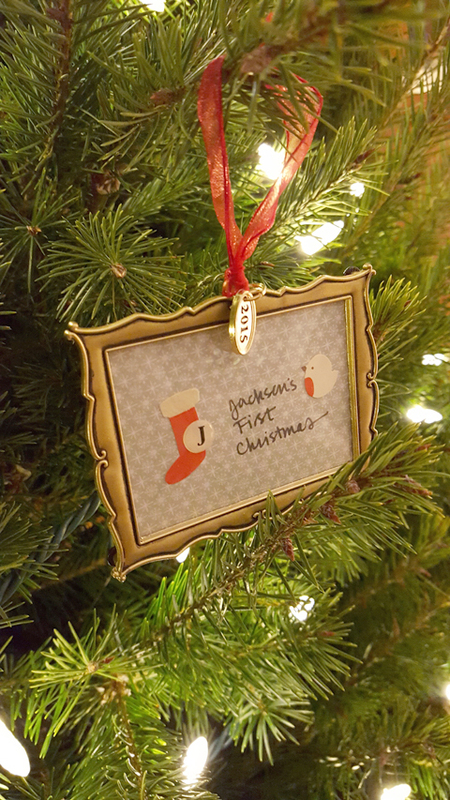 Ornaments are a quick and easy paper craft you can make that family and friends will cherish for years to come. I made two "Baby's First Christmas" ornaments featuring SEI's Merry Mistletoe collection. The fun shapes and sweet pastels make this collection perfectly fitting for new baby gifts! The ornament frames came from Michaels and only cost a few dollars each. To make the ornaments, I selected favorite accents from the Merry Mistletoe papers, stickers and embellishments (paying special attention to use blue accents for celebrating baby boys!) and cut and arrange them to fit inside the frame. A simple alphabet sticker of each boy's initial further personalizes the design, along with a handmade message. I wrote them with a thin Sharpie. 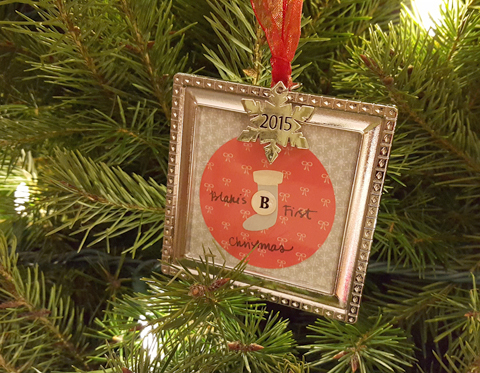 Have you made ornaments or other handmade gifts for the holidays? We'd love to see! Be sure to share a link to your designs in the comments.